Turnkey and you could be home now! 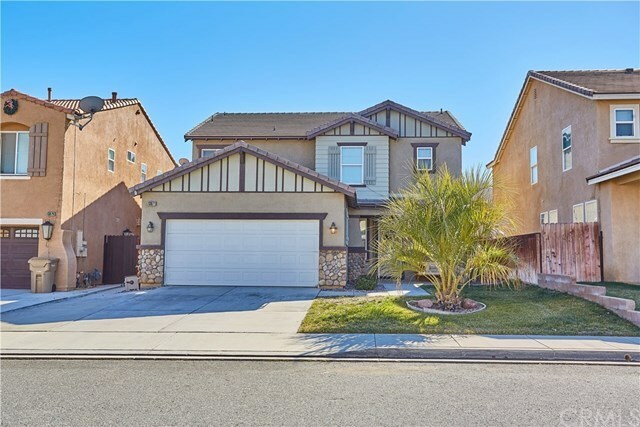 This beautiful 2-story home shows pride of ownership and is very well maintained. This home is truly a must see! Conveniently located near shopping and commuter friendly. Walking distance to Mission Crest Elementary and Malibu Park. This home includes a spacious floor plan with 4 large bedrooms (one downstairs w/ full bath) 3 full bathrooms. A formal dining room welcomes you & offers easy access to your beautiful large kitchen with spacious granite counter tops, stainless steel appliances and ample cabinets in maple color which opens up to your family room with a cozy fireplace. Front and Backyard and is completely landscaped with 2 patios and storage shed stays too. Schedule a tour and see this one before it's sold! Directions: 15 fwy. Exit Main St, head East. Right on Escondido Ave, Turn right onto Muscatel St, turn left onto Independence, turn left on Menifee Ct. Destination will be on the right.